we think there are three of them ... we're having a bit of a time keeping Shelby away ... aren't they SWEET??? Yes, so very sweet and what a treat! Oh! Such a sweet surprise! We had the same thing in our backyard last year. They are soooo precious! 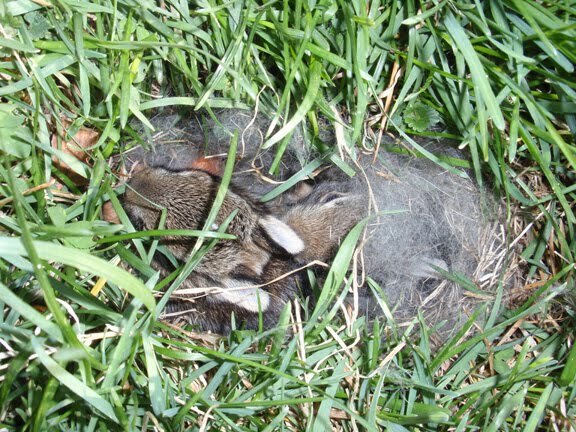 We have found bunny nests in our yard too, they tend to dig holes in the tall grass. We have learned to scout the grounds before mowing.